FINALLY A WAY TO SIMPLIFY ALL OF YOUR FOOD PRESERVATION EFFORTS! A simple tool to track how much to preserve and how much your family uses each year? A way to record your freezer and pantry inventory? All of the food preservation information at your fingertips so you don't have to stop and look it up? 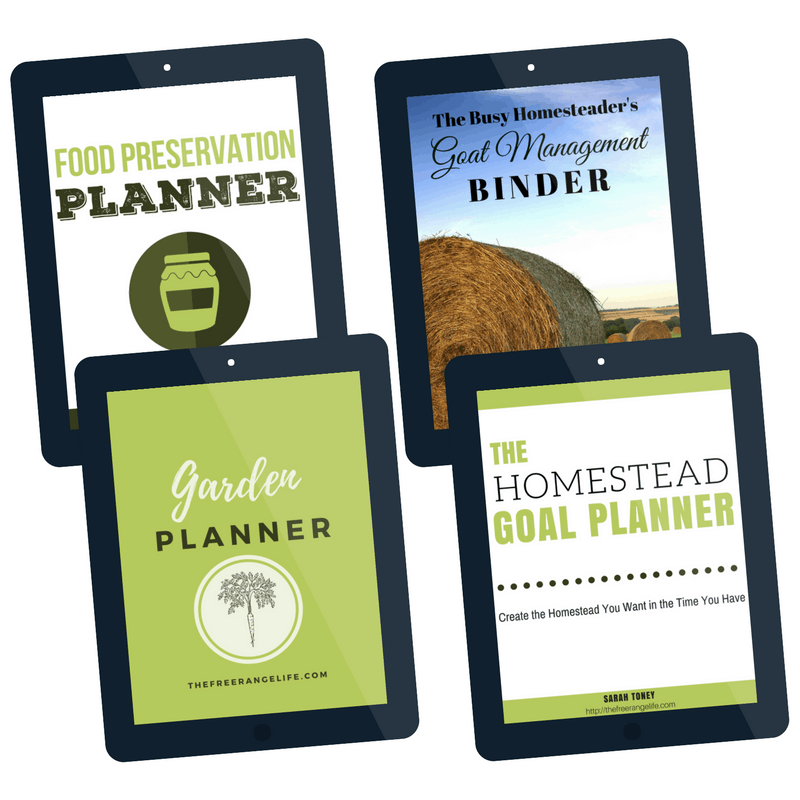 Introducing a Food Preservation Planner made specifically for The Busy Homesteader! The Food Preservation Planner gives you all of the information you need to plan your family’s food needs and keep track of what you preserve each year. With helpful cheat sheets and checklists to help you spend more time preserving and less time looking up HOW. The cheat sheets and lists give you all the important information like headspace and cook time so that you don’t have to stop and look it up. Keep track of everything you preserve and how and when you use it so you can accurately plan your preservation needs. Keep track of what is in your freezer, pantry, and fridge so you can be sure to use what you have before it goes bad. What’s Included in the Food Preservation Planner? I am a food preserving beginner. Is this product for me? Maybe. It depends on what you are looking for. 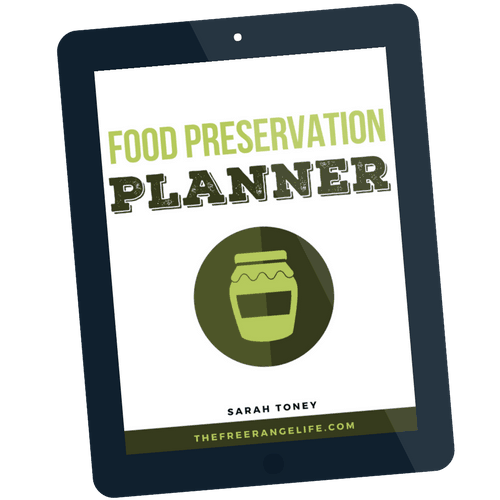 The Food Preservation Planner is not a how-to guide but a tool to help you plan your food needs and preserve more efficiently. It includes things like cheat sheets with canning headspace and cook times, canning checklists, and charts to keep track of what you need to do and have already done. It does not contain information on HOW to can or preserve. I've been preserving for years. Is this product for me? The Food Preservation Planner is not a how-to guide. It is a tool to help you plan your needs and preserve more efficiently. This tool can be used by people with all levels of knowledge. As this is a digital product, I do not offer refunds once the product has been downloaded. However, if you run into any problems, have questions, or suggestions, you can contact me at any time at sarah@thefreerangelife.com and I will do my best to make you happy! Do you have any other resources like this for busy homesteaders?